Okay, I’m biased. I have no formal criteria, no judging panel, and no independent auditors. 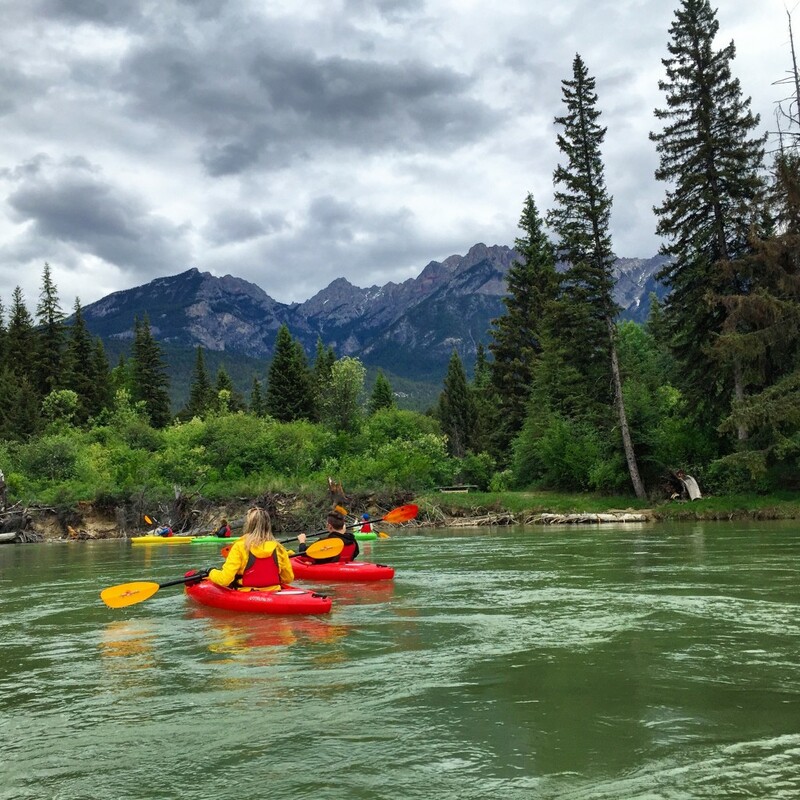 Just my own crazy fun time in the mountains have me declaring British Columbia’s Wings Over The Rockies annual wildlife love-in as the best nature festival on the continent and perhaps the world. Fresh off its twentieth (!!) year of operation, this grassroots celebration of all things bird and nature related in the Columbia Valley offers 120 events over seven days. Do you know how much work it is to arrange a single event? Scattered over an area 130 kilometers long, setting up over 100 events is a huge job but there is no huge staff behind this well-organized festival. Jami Scheffer is the glue that keeps everything together but Columbia Valley volunteers also do lots of work. I learned about the geology of the Rocky Mountain Trench from geologist Sid Leggett, watched John Zehnder and his dog herd sheep on hay fields left long for long-billed curlews, followed Brian Wesley through burnt forests in search of warblers, and dabbled in eco-psychology with Natalie Forrest. It was obvious that each of these leaders put considerable time and energy into organizing their event and sharing their love of nature. They started on time, were considerate of participant’s skill and energy levels, and let you know if they were going to run past the ending time. Everyone ran late but no one minded. People were so busy searching the sky for white-throated swifts or paddling through rock flower blue water, the only thing that got them back to their cars was the promise of the next event. “I’m here for the whole week”, “I’m doing two or three events everyday” were phrases I heard again and again as I gathered with a new group of nature enthusiasts for each event. Some of the events offered access to nature areas not available any other way. Michelle Porteous of BC Rockies Adventures made sure I and three other bird watchers could paddle our kayaks then led us down the Columbia River to a grove of trees sheltering Lewis Woodpeckers. 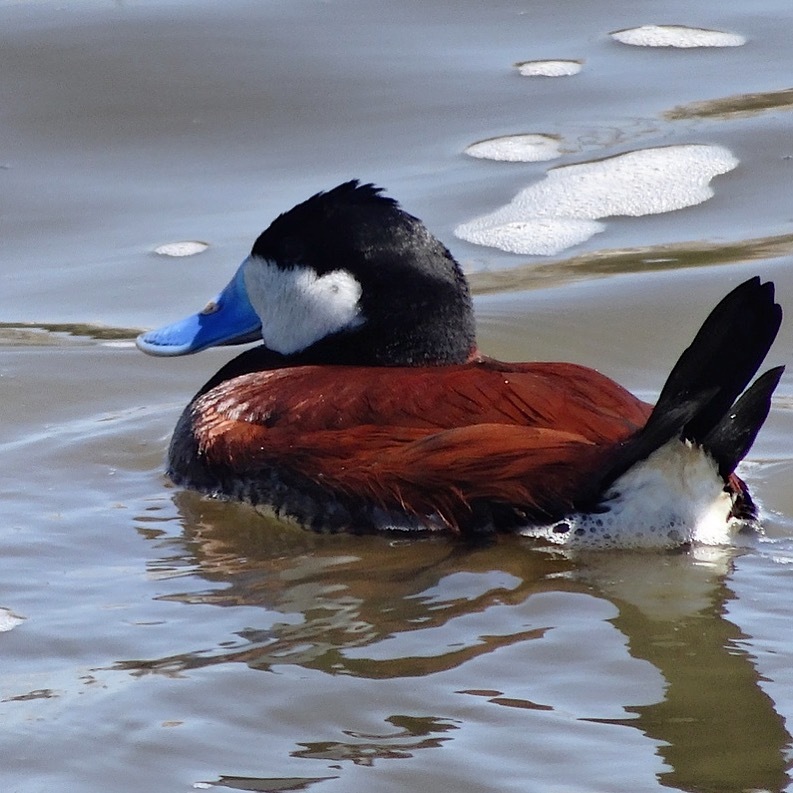 These red-bellied, red-necked birds are red-listed in B.C. That means they are extremely rare and a sighting is a lifetime event for a birdwatcher. I told Michelle it was the best kayak trip ever because I got the chance to watch these birds demonstrate their fly catching skills and didn’t have to swim down the river to do it (there is no overland access to these birds). I think what I love most about Wings Over the Rockies is the chance to lift the curtain and see what was going on in the forests and wetlands of the Columbia Valley. Those things that you don’t notice when you are rushing to Home Hardware. 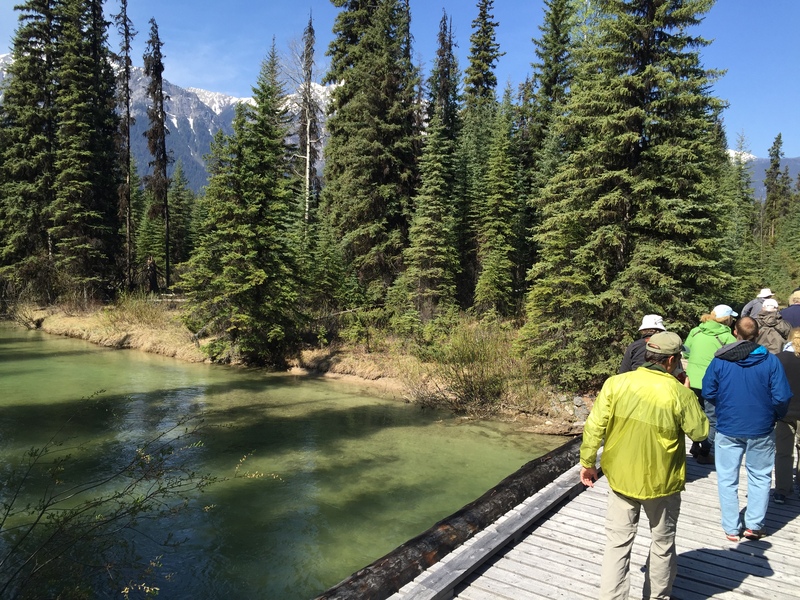 I was amazed at the dedication and effort put into preserving one of North America’s longest intact wetlands by a relatively small population (approximately 10,000 people call the valley home). So yes, this tiny of festival for wildlife and wilderness lovers gets a gold prize for its best efforts. I can’t wait for next year and the chance to judge it all again. Register for events online at www.wingsovertherockies.org. Sign up as soon as registration opens (early April) as events sell out quickly. Remember events may be 130 kilometers apart and allow enough time to make it from one event to the next. Sample events at both ends of the valley to see the tremendous diversity of habitat. Columbia Wetlands Adventures offers the chance to paddle the braided channels of the Columbia River on the northern boundaries of the festival www.wetlandsadventures.com Climb the hoodoos south of Fairmont to experience the dry landscapes at the southern reaches of the festival. 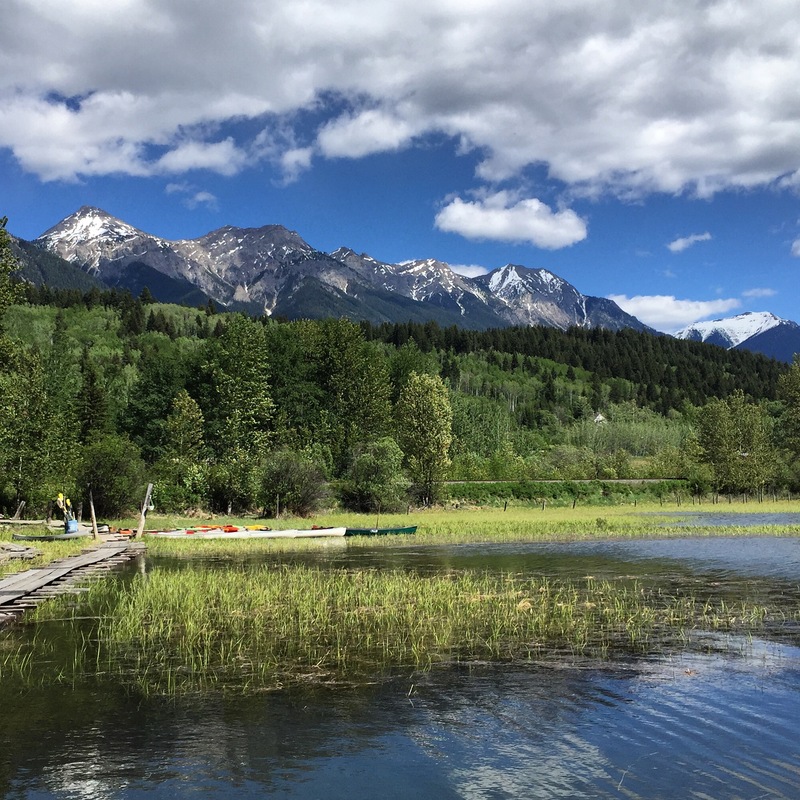 Getting to the valley – The valley is a 90 minute drive from Banff or three hours from Calgary. You can fly to Cranbrook and rent a car for a sixty-minute drive from the south.